The 1 1/4" bore Free Spinning rear bearing is a top quality bearing. This is the rear bearing used in 95% of all karts on the market. The code number on this bearing is UC206-20K. It will not replace a sealmaster®. 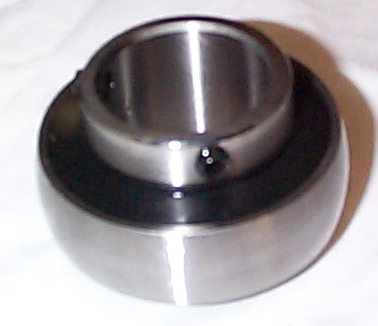 We now offer a Sealmaster® Replacement Bearing, it has the large OD and it a very nice top quality bearing. Sealmaster® bearings are normally found on Phantom® Karts.